Bold Shadows - Deep toned eye shadows that create eye-popping statements is something every girl should try. 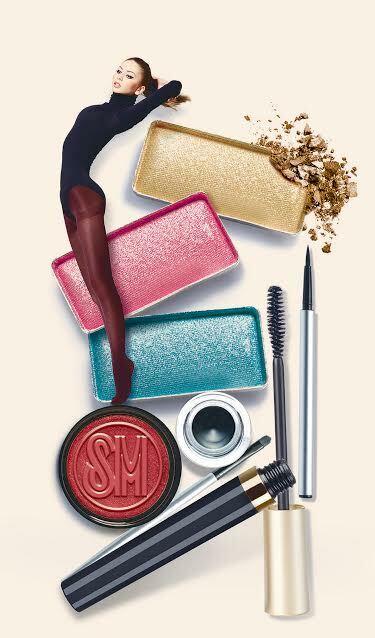 Or go glossy, shimmery, and sculpted for the holidays. Eye-Catching Liners- Take risks and draw outside the lines with sleek, graphic, and kind of retro strokes. Try colored lines with bright colors to make sure you stand out! Sultry Brows- Get your brow game on, so don't forget to define, fill-in and tame! Lush Lashes- Vivid colored lashes that are either curled or dolled to accentuate your eyes make a huge difference!